In this beautiful mirror case, there is a compact pink powder with golden highlights : to make the little cheeks rosy and lightly color the eyelids. A two-in-one make-up to color the cheeks of the coquettes and color the eyelids. Its ultra-flexible shade adapts to all skins tones and all desires : so good-looking effect or Russian doll ? It's up to you to play girls ! 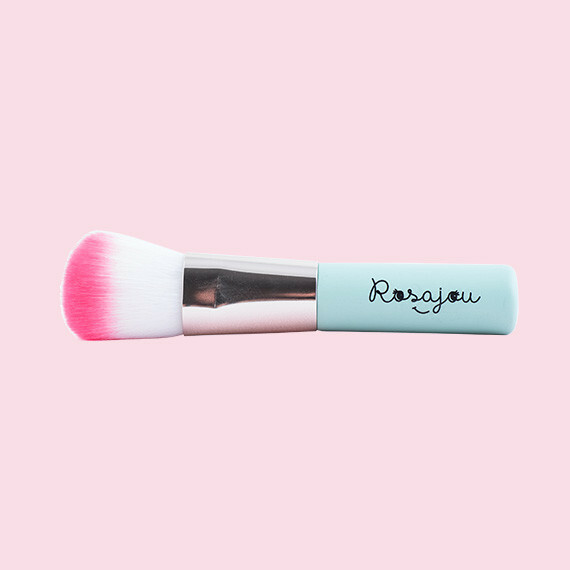 Use : take a small quantity of powder with the brush and apply it on the cheeks or eyelids. Repeat until you have achieved the desired effect. To remove : easily removable with a cotton pad with make-up remover or in the shower with special soap to wash your face. Precautions for use : This is not a food product. Not suitable for children under 3 years old. Use under the supervision of an adult. Apply on healthy skin. Do not swallow. Avoid contact with eyes. Close the case well after use. Store in a dry and temperate place. Composition : TALC, MICA, NYLON-12, CI 77891 (TITANIUM DIOXIDE), CI 45410 (RED 27 LAKE), ISOHEXADECANE, DIMETHICONE, CI 19140 (YELLOW 5 LAKE), HYDROGENATED POLYDECENE, PARFUM (FRAGRANCE), CAPRYLYL GLYCOL, CI 77491 (IRON OXIDES), TOCOPHERYL ACETATE. The essential accessory to apply blush like a lady. With its size, it is just right in small hands. 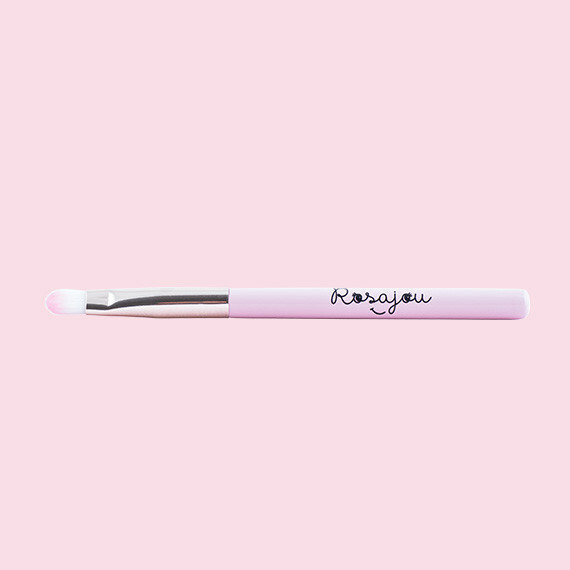 To apply its eye shadow like a big one, this brush is the essential accessory. Please register to receive the latest news and offers from us.